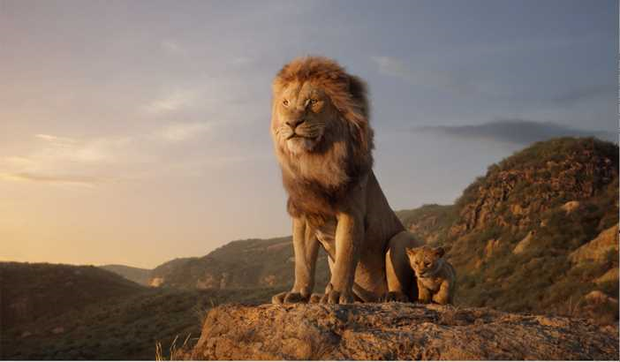 The first full length trailer for Disney's 'live action' version of their hit 1994 animated film The Lion King has landed and it does not disappoint. Directed by Jon Favreau (who previously helmed The Jungle Book), and combining the voice talents of Donald Glover, as the adult Simba, JAmes Earl Jones as his father Mufasa and Chiwetel Ejiofor as Scar, with spectacular visuals it looks like it's going to be a real treat. Previously Disney released a teaser recreating the original film's 'Circle of Life' opening, as well as new footage at CinemaCon but this is the first full trailer. It's pretty dark and foreboding for the most part, but a little snippet of footage following the credits hints at the lighter side of the film. According to Disney, the story takes place in the "African savanna where a future king is born. Simba idolizes his father, King Mufasa, and takes to heart his own royal destiny. But not everyone in the kingdom celebrates the new cub’s arrival. Scar, Mufasa’s brother—and former heir to the throne—has plans of his own. "The battle for Pride Rock is ravaged with betrayal, tragedy and drama, ultimately resulting in Simba’s exile. With help from a curious pair of newfound friends, Simba will have to figure out how to grow up and take back what is rightfully his." The film also features the voices of Beyoncé Knowles-Carter as Nala, Seth Rogen as Pumbaa and Billy Eichner as Timon. Disney’s The Lion King opens in Irish cinemas on July 19, 2019.